It uses Xilinx Spartan XC2S50/XC2S100/XC2S200 FPGA with up to 50/100/200K system gates, and up to 200MHz clock speed. 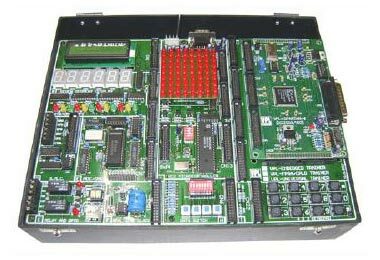 User can develop the circuit/ schematic using Xilinx standard Foundation Series Software and any development tool for VLSI design available in the world. It has on board 89C51RD2 for development and processing f 51 family softwares.